Driving through Nanaimo and Duncan doesn’t have to be dull. Get behind the wheel of a Mazda SUV and experience a new world of driving. With their sleek style, various technology, and standard safety features, you’ll get everything you wanted rolled into one vehicle. Visit Harris Mazda today to learn more about these impressive vehicles and make one yours. No matter if you want to be informed or entertained, each Mazda SUV was designed to give you advanced technology features that make driving more enjoyable. 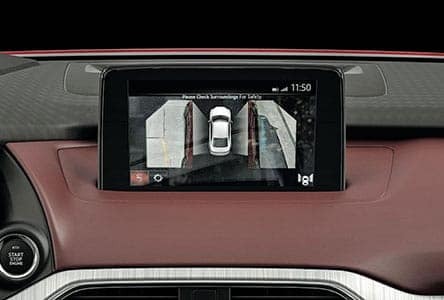 Available 360° View Monitor uses four cameras on the front, sides, and rear and eight parking sensors generates a surround view displayed on the MAZDA CONNECT touchscreen to ensure an all-round awareness while getting into or out of parking spaces. 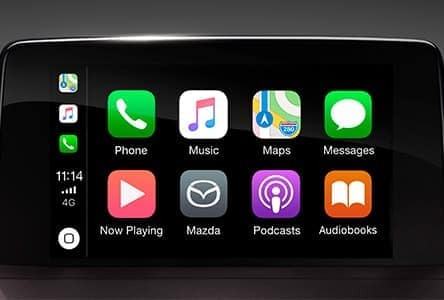 Take your smartphone connectivity to a whole new level with the addition of Apple Car Play and Android Auto. Enjoy integrated music, phone calls, text and email messaging, map functionality and more. This provides you with a Safe and convenient way to stay connected while staying focused on the road. Plus, enjoy integrated Aha™and StitcherTM internet radio apps. 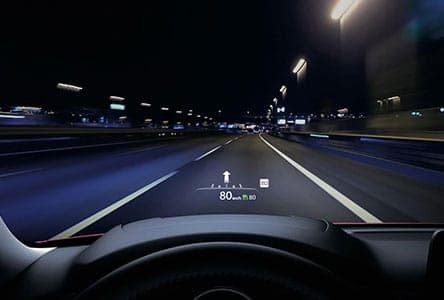 Available Colour Active Driving Display helps you stay focused by projecting critical safety and navigation information right within your line of sight right on the windshield. 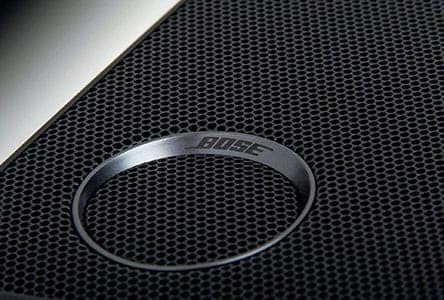 Our Premium audio system considers hundreds of factors, from cabin size and materials to seat positioning and the unique sound variances of today’s digital devices. The result is outstanding clarity, image, and range. Take one step inside any Mazda SUV, and you’ll experience detail like never before. With custom craftsmanship and acute attention, each one boasts a luxurious and comfortable experience you can relish for years to come. Spacious interior was designed to allow multiple passengers to spread out and relax on both short drives or long trips. Various seat configurations and roomy storage areas provide all the space you need to haul your precious cargo safely and easily. Comfortable leather seating delivers a luxury experience that drivers and passengers will come to enjoy while cruising through Duncan and Nanaimo. With a Mazda SUV, you can tackle the open road while also making heads turn. The styliings of each model are sure to deliver in all aspects of envy and entertainment. Sleek exterior design creates a compelling look that captivates attention and seamlessly maneuvers through the Nanaimo and Duncan roads. SKYACTIV® TECHNOLOGY ensures that this vehicle delivers optimal performance in terms of power, efficiency, and fluidity. Aerodynamic design was expertly crafted to provide a truly unique and efficient driving experience. Your Safety is always important and Our Mazda SUV’s come with a matrix of passive and active safety features to help keep you safe. The SKYACTIV-Body and -Chassis use ultra-high-tensile steel to help protect occupants in case of an accident. Keyless Entry makes it easy for you to quickly get into your vehicle and drive away when pressed for time. 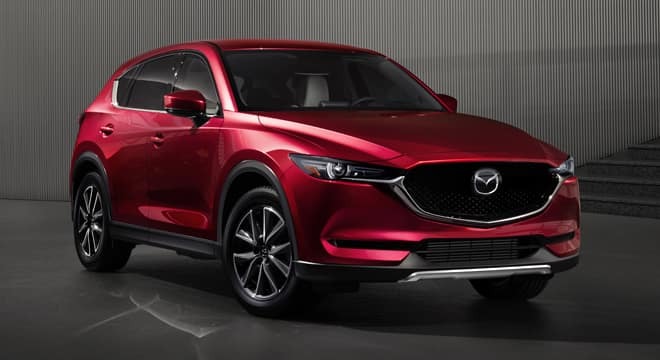 If you are in the market for a compact Mazda SUV, the 2019 Mazda CX-5 is a great option for Nanaimo and Duncan Drivers. This vehicle offers state-of-the-art technology and software. The 2019 CX-5 can be equipped with a Skyactiv-G 2.5 turbocharged gasoline engine, designed to accelerate and brake intuitively while providing a smoother drive that responds to human sensibilities. The available i-Activ AWD gives you the capability to take on virtually any terrain by surveying road conditions over 200 times per second. The interior of the CX-5 offers a quieter cabin as well as an available 10-way power-adjustable driver’s seat and available automatic dual-zone climate controls to make your drive as comfortable as possible. With available rear heated seats and front ventilated seats, your passengers will love the ride as much as you do. 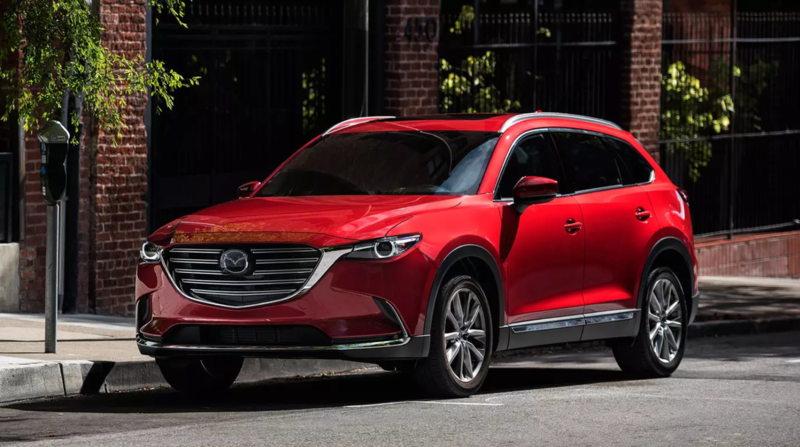 If you prefer a Mazda SUV that can handle a larger crowd, the 2019 CX-9 is the better option for you. Expect exhilarating power and superb fuel economy alongside stunning design and a finely crafted interior. Even the smallest detail of the CX-9 serves a driving experience not typically found in a full-size SUV. From cutting-edge engineering and technology to a spacious cabin that is not only beautiful, but ready to take on the practicalities of your day. The 2019 CX-3 features aesthetic style and technological innovations that evoke anticipation for every drive and ensure that every drive will be an exhilarating one. From engine and transmission to body and chassis, each component is crafted to work seamlessly together to deliver pure driving exhilaration. Whether it’s passengers, activity gear or groceries, fit what matters into the compact but versatile interior space of the CX-3. Mazda SUVs deliver an exceptional amount of style and amenities to Nanaimo and Duncan drivers. 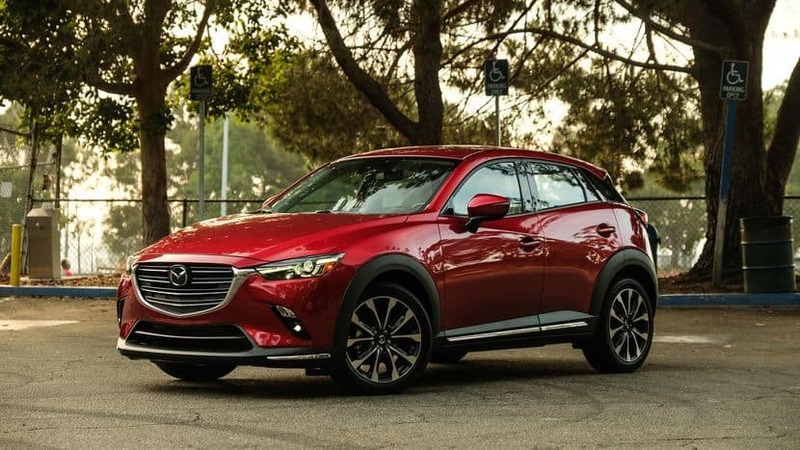 From their standard safety and technology features, to the detailed amenities found in the Mazda CX-5 and Mazda CX-9, these are truly vehicles you should consider driving home today. Harris Mazda has a full inventory of these vehicles for you to check out today. Not only will our team help you find a great car, but also you can count on our iBuy Responsive selling process to put the final decision in your hands. Contact us today at 1-844-537-8693 to start the process of finding that perfect SUV.